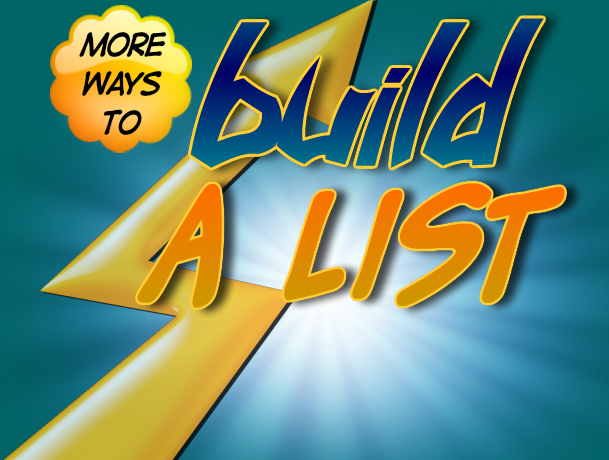 Yesterday we went through 7 tips to help you get more people on your list. Today we run through another 7. Of course, quantity is not more important than quality. The better you treat your list the longer they will stay with you and the more likely they will be to buy from you. Churn and burn is not a model I subscribe to! Here are your extra 7 tips. • Build your reputation as a solution provider rather than a spammer! • Do you need to sell in every email? I just added number 11 to my to do list 🙂 Thanks for such great tips. More great tips and I love how you’ve broken them all down to show how to make the list yours and interact with your subscribers. What I’ve recently done was to take advantage of the automated blog sharing feature inside of Aweber. Whenever I post an article to my blog, it’s sent to my list. The mailing gives a brief intro about the blog post then forwards the reader to the website. I’ve actually done this for all my blogs. You can set the day and time you’d like your posts to go out. It’s a great feature to keep subscribers up to date with your blog and it’s not something you have to constantly think of. Great idea! I’ve done this as a weekly digest. Nice work! Another post to save so I can read when I’m setting up my list. I don’t want to miss anything out! Thanks again for sharing your advice. We get so busy doing things like blogging, videoing and posting that we forget the essentials like emailing! So when will you set you your schedule and when? 🙂 Thanks for stopping by, Jan.